Certain geometric features, for example overhanging features, can be difficult to produce by AM due to differences in the thermal properties of the powder and component being manufactured. This comprehensive study provides new data and new approaches to improve parts made using Electron Beam Melting (EBM). EBM works by building components from powder starting material using an electron beam to solidify the part in a layer by layer approach. Some designs contain "overhanging features," which have powder beneath them rather than solid layers. These features present problems within the build as the thermal properties of powder are different to the solid material. The paper presents a comprehensive study of thermal conductivity measurements of Ti-6Al-4V powder sintered using different strengths of beam. 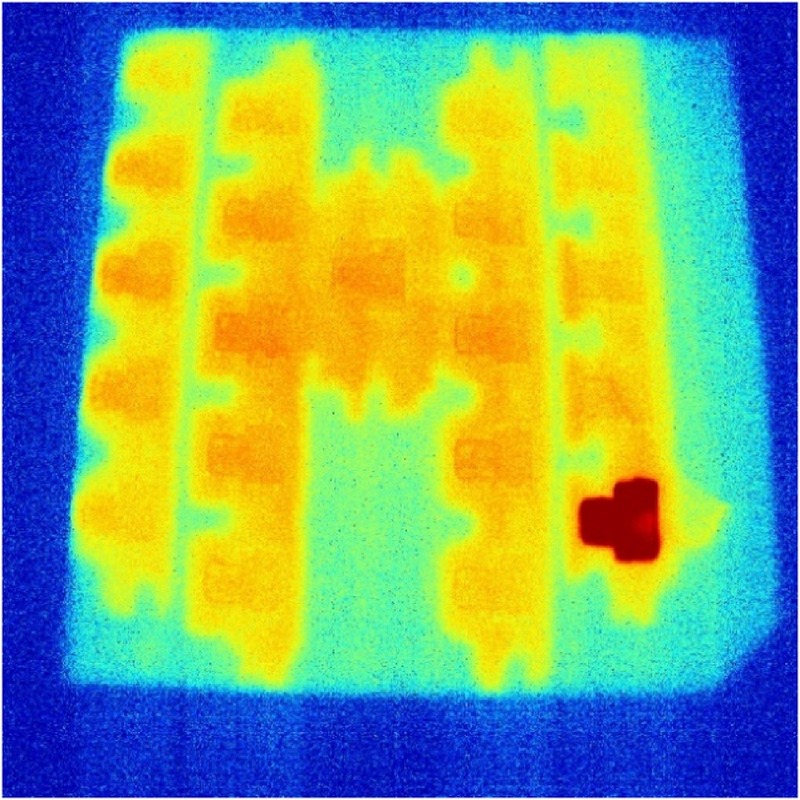 The measurements could allow the level of thermal conductivity in EBM to be tailored for local requirements opening up the possibility of manufacturing “overhanging features” via EBM. Scientific Reports: "SEM images of sintered samples. 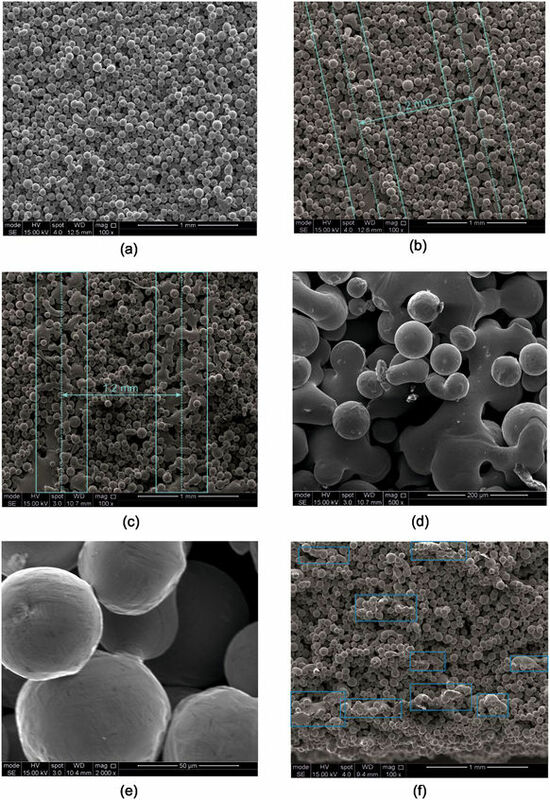 (a) Sample with one local beam pass, (b) Sample with four local beam passes, (c) Sample with eight local beam passes, (d) High magnification image of melted region – eight local beam passes, (e) High magnification image of sintered powder particles – eight local beam passes and (f) Section in the build direction – eight local beam passes with partially melted regions highlighted. Images (a) to (e) show the x-y plane while (f) shows the x-z plane (across the build layers)."